Louise Phillips Writer: TROUBLE IS OUR BUSINESS - BELFAST BOOK FESTIVAL 2017!! 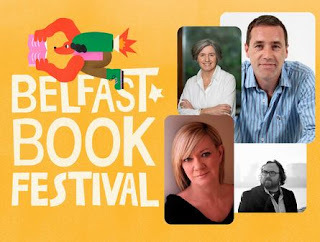 TROUBLE IS OUR BUSINESS - BELFAST BOOK FESTIVAL 2017!! A great event for crime fiction fans will take place shortly in Belfast, and I’m hugely looking forward to it. Declan Burke, award winning author, journalist, reviewer and editor, will be hosting this event as part of Belfast Book Festival on June 10th.